What Makes UX Design Your Passion? 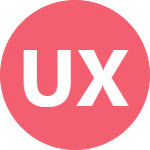 A user experience (UX) designer defines how a user feels while interacting with a product. Below is a set of skills that makes you a passionate UX designer. These skills are truly simple to learn and adopt in your design process. A must skill for UX designers is to do research, and do it at all the time. Make yourself up to date to latest trends. Spend maximum time to explore upcoming designs, techniques and tools in your field. Always compare the knowledge that you are attaining each day and see how quickly things are evolving. It gives you an amazing feeling when this exploration clicks into your mind while designing your UI. It is very important to satisfy your user — the client who will be using your product. Never try to impose your likes and dislikes on your design. You are not designing for yourself. Always work with your user and get his feedback to create the best possible solution. An extensive observation of your user while working on a project is an essential key to become a UX designer. Meet them, talk to them and see their working environment. Relate the problem to the daily life situations of your users and see how they handle them. This helps you to discover their actual needs and the way they want to meet them. Collect your findings and now think of the design you want to build for them. Believe me, this makes a lot of difference! Of course, you need to make a balance between user’s wishlist and your business objectives. See how your work is putting value to your business? Whether the effort you put to build your design is worth what it costs? Always answer these questions before moving forward with your client. Analyze the requirements keeping in view your business needs. Design always solves a well-defined problem. If you are satisfied with your outcomes, involve your user. Repeat this process until you get a masterpiece that satisfies your user and worth what it costs. Always try to be clear in your thoughts. Each time you iterate your design, you will learn a hundred of new things. Without iterations you can never become a good designer. A key to success is to list down the DONT’S of each iteration, and do not repeat them again. Note the things that you like in each iteration and DO them again. If you are not liking your work, no worries. Let give it another try with new passion using the past experiences. No work is ever wasted. Keep your bad experiences in front of you and see what can you do to convert them into good ones. A wrong try in the beginning can move you to a brilliant idea at a later stage. A good research habit enables you to think about new and innovative ideas. Always feel the courage to try new and different things in your design, while following the standards at the same time. Note down the ideas as they come up to your mind. Do brainstorming on your ideas with the people around you. Focus on important and required features. Forget about extra things that seem essential to you but do not add any value for your customer. These extra features make your design complex. Remember, it is very easy to make things complicated. The real experience comes where you provide required features and a simple design at the same time. Don’t leave gaps in your design. Cover all possible scenarios that a user may encounter. A design can best be evaluated with the small interactions that it provides to users when some error occurs or when something gets stuck. Give equal importance to small details. An extensive observation skill is needed for this. It is always good to not limit yourself to design something without any technical background. You can better understand the problem and provide a solution if you have some technical knowledge of the system you are working on. It makes you independent enough if you know that how your design will work in development environment, how a coder is going to implement it, and what are the technical constraints. A powerful communication skill helps you like anything in your design process. how to market your work. This skill adds a very positive impact on your work. You cannot become a good UX designer while working alone. You will be needing continuous involvement of people around you. You can ask your colleagues to do this favor. Real user experience can only be achieved by testing your design with real users. Refining your design after testing is the actual thing that makes your design superb. Discussion always opens new windows of thoughts. ‹ PreviousAll Caps on UI: Good or Bad?